I work full-time. Sometimes even 50 hours a week or more. However, I’m not considered a regular employee. They’ve never offered me health insurance; I have no paid time off, not even paid sick days. Reporte Hispano – Participants in today’s news event included: State Senator Linda Greenstein; State Assemblymember Daniel Benson; members and leaders of Warehouse Workers Stand Up; the New Jersey Work Environment Council; New Labor; Make the Road New Jersey; the New Jersey Communications Workers of America (CWA); Working Families Alliance of New Jersey; and the Laundry, Distribution, and Food Service Joint Board of Workers United, SEIU. 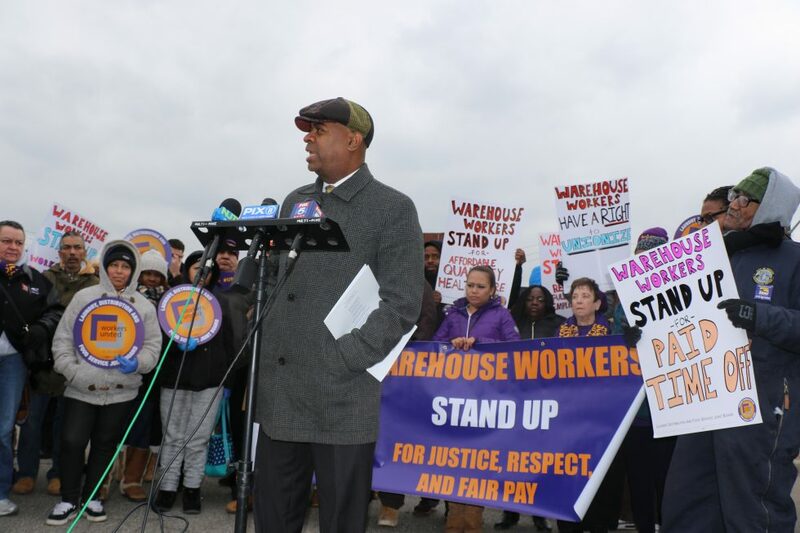 WCBS – With hundreds of new warehouses popping up in New Jersey, the group Warehouse Workers Standup is demanding the state withhold subsidies for developers who don’t adhere to a code of conduct to raise working standards. 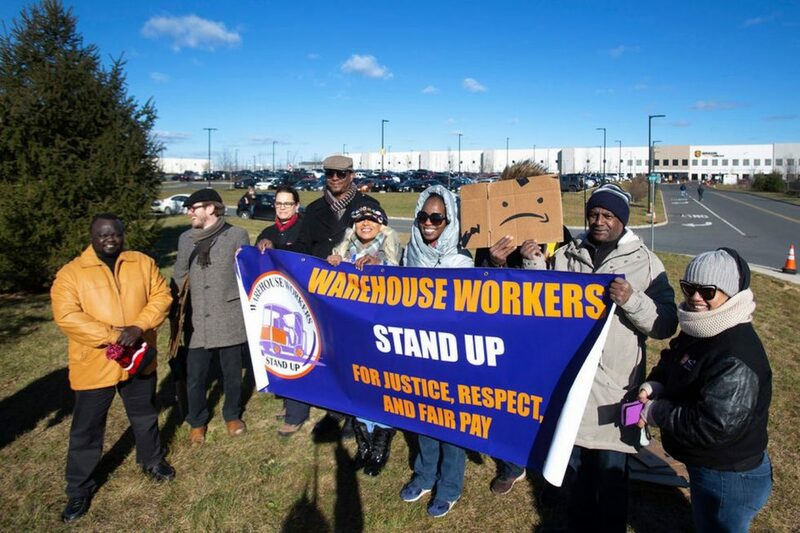 NJ.com – OSHA fined the same location $7,000 in 2015 for a violation of “recording criteria.” It also investigated an Amazon facility in Avenel in 2013 after a worker was crushed and killed by equipment. Citations in that incident were issued to Genco, a third-party logistics firm operating the facility, and four temporary staffing agencies. 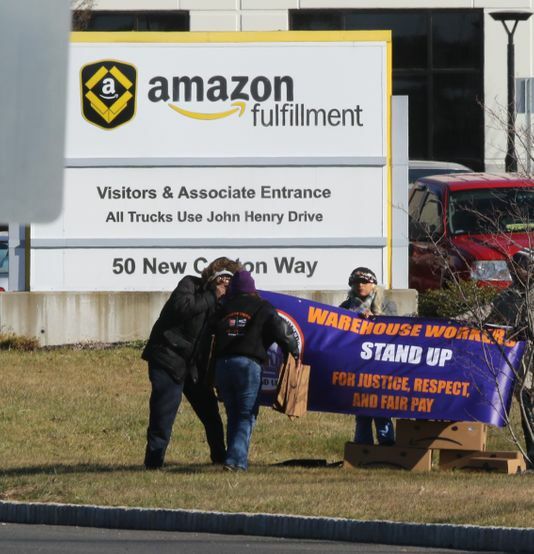 App – Outside, a group of labor advocates called on Amazon, the large e-commerce retailer, to improve safety conditions and programs inside the warehouse, two weeks after one worker was critically injured and two dozen others were sent to the hospital after a can of bear repellent fell off a shelf and discharged. legislation and economic development policy to require implementation of the code of conduct. 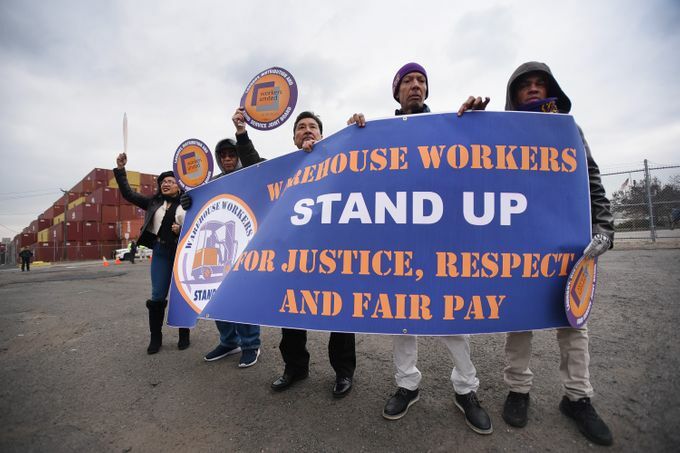 Enforcement of the proposed code of conduct by New Jersey’s local and state officials is crucial for improving job quality for warehouse workers and for giving New Jersey’s working families a better future. 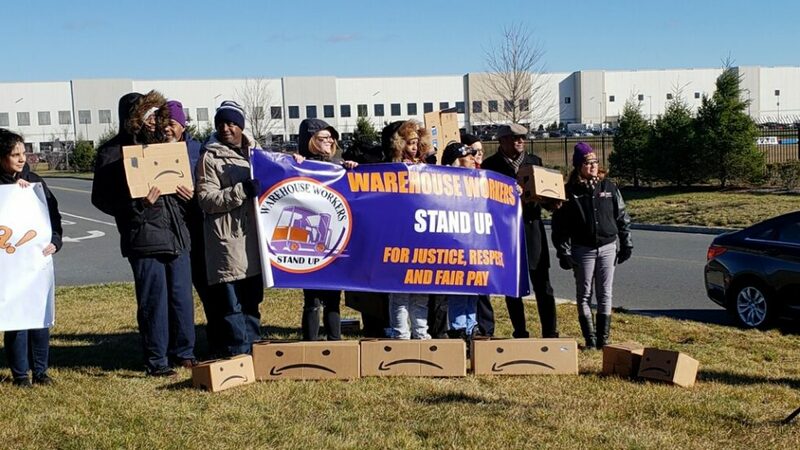 The Guardian – A coalition of labor advocacy groups is pushing New Jersey to enforce a “code of conduct” for warehouse workers at Amazon and other major online retailers, which includes a minimum wage, stabilized work hours and the right to unionise.